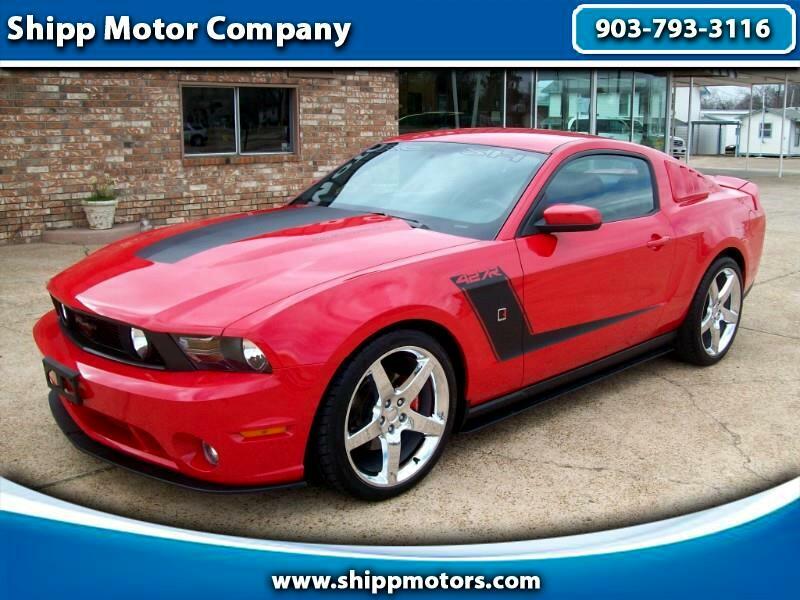 2010 Roush 427R Mustang with 5,217 one owner miles that looks like it never left the showroom floor, it's that new. If it's not already a Collector's item, it only a matter of a short time before it will be. And to make it even more rare it's one of only 51 Automatic's made in 2010. Included in the pictures is the build sheet from Roush with all the big options and a sticker of $54,981. When I state that it looks like it never left the showroom floor, I am not exaggerating at all. Both the interior and exterior are in new condition, and there is not one door ding, or rock chip be be found and the is no wheel rash on any of the wheels and the interior looks like it' never been sat in. We have all the books, both keys, and the Roush Build Sheet, It has both a clean Carfax and Auto check history report, which you can view for free by clicking on the Auto Check icon. Considering the 5,217 miles, the condition, and the rarity of this car it should be a no brainier if you are looking for a Roush 427R Mustang. If you have any questions, or need additional information please email us (shippmotors@aol.com) or call Bobby Shipp on his cell at 903 748-3116. Message: Thought you might be interested in this 2010 Ford MUSTANG GT.